It’s going to be a special year for Kendall Hunter, returning to the San Francisco 49ers after missing last season with an injury, and open competition for touches and carries after playing behind an untouchable number one running back his entire career. 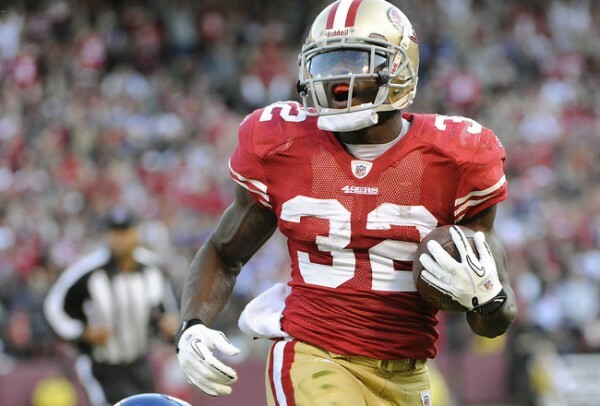 With Frank Gore gone to the Indianapolis Colts, Hunter might get a chance to become a bigger part of the offense in San Francisco, who are heading into next season with a lot of question marks and even doubts regarding how the team will look after such a rough offseason, which included massive turnover and change among the coaching staff and defensive side of the ball. Hunter has been having a very good offseason coming off his torn ACL which happened in training camp last year, but teams tend to be over optimistic regarding players this time of year, especially when the reports on Hunter’s ability come from the team’s own websites. But Hunter has done well in the past, averaging 4.6 yards per carry throughout his career (since 2011). Now that the competition is Carlos Hyde and not Frank Gore, it might be easier for him to get more touches than before (never had more than 112 carries in a season). There’s also less pressure on the team to win compared to before. As for playing a part in the passing game? Probably not, as Hunter has only 27 receptions in 43 games for the 49ers. When he’s on the field, it’s usually to help move the ball on the ground.